The Company Lab (CO.LAB) and Mozilla are partnering to host a weekend-long business competition focusing on the Internet of Things (IoT). 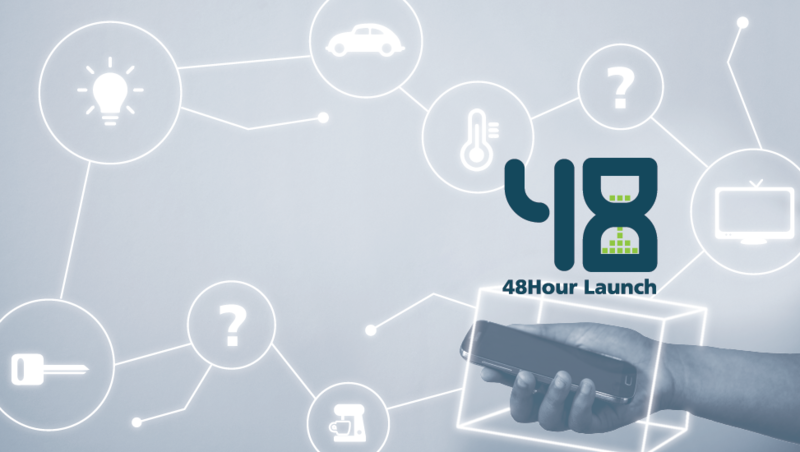 The event, called 48Hour Launch, challenges teams of entrepreneurs and specialists to spend 48 hours transforming a startup concept into a viable business model or prototype. At the end of the weekend, which takes place Sept. 9-11, two participants will win free trips to MozFest in London this October, while two additional teams will receive cash prizes and packages of free business services to get their businesses off the ground. At least one team will also earn an automatic spot in CO.LAB’s Fall 2016 GIGTANK Accelerator program. Applications are open until Aug. 29. Preference will be given to concepts that involve learning. Click here to submit an idea. Click here to watch a video about IoT. Ideal applicants include those with backgrounds in IT, entrepreneurship, education, business development, data science, web development, design, marketing and more. Each of these skills represents critical intersections between IoT, business and learning. In addition to co-hosting the event, Mozilla will also provide devices that support IoT development to 48Hour Launch participants. View the application to see examples of potential tools. 48Hour Launch: IoT Edition will begin Sept. 9 with public pitches, where the selected teams will present their ideas to the public and request help from locals with the skills required to move their projects forward. Members of the public will have the opportunity to work with teams that evening and for the remainder of the weekend. Collaboration is a critical element of this event. Public pitches and project development will take place on the fifth floor of the Edney Innovation Center from Friday, Sept. 9 through the afternoon of Sunday, Sept. 11. The experience will culminate with a Demo Night at 6 p.m. on Sept. 11 at the Church on Main, where participants will debut their work and a panel of judges will announce the winners. While applications that involve learning will receive special preference, eligibility for 48Hour Launch is not restricted to teams that fall exclusively within that focus area. In addition to supporting Mozilla’s mission, the IoT Edition is designed to create stronger foundations for entrepreneurs with all types of IoT ideas. This year, the program will include a strong emphasis on the business modeling component of startup development. This format incorporates CO.LAB’s widely-adopted CO.STARTERS curriculum, which helps entrepreneurs test their business models before building them out. Established in 2009, 48Hour Launch has evolved into one of the area’s leading events for new startup collaboration. Over the last several years, the program has engaged approximately 150 annual participants, activated a total of 65 projects that have raised a combined $4.3 million in capital, and connected teams with free local business services valued at more than $60,000. A number of major entrepreneurial successes have grown out of 48Hour Launch, including Quickcue – a guest management platform that sold for $11.5 million in 2013 – as well as Society of Work, The UNFoundation and Chatype. The Company Lab (CO.LAB) is a nonprofit organization that supports entrepreneurial growth in southeast Tennessee. Established as the region’s front door for entrepreneurs, CO.LAB works to increase the viability of startups and strengthen the ecosystem of support behind them. In doing so, the organization helps entrepreneurs refine their business models, test their ideas with customers, pursue capital and partnerships, and connect with a community of mentors, peers and business experts. Additionally, CO.LAB works to create environments that inspire entrepreneurial activity, open doors within the business community and promote job creation. The companies CO.LAB supports range from street-corner mom and pop shops to tech startups scaling into major markets. To learn more, visit colab.co. The nonprofit Mozilla Foundation believes the internet must always remain a global public resource that is open and accessible to all. Our work is guided by the Mozilla Manifesto. The direct work of the Mozilla Foundation focuses on making the health of the internet a mainstream issue. We do this by connecting open internet leaders with each other and by mobilizing grassroots activities around the world.